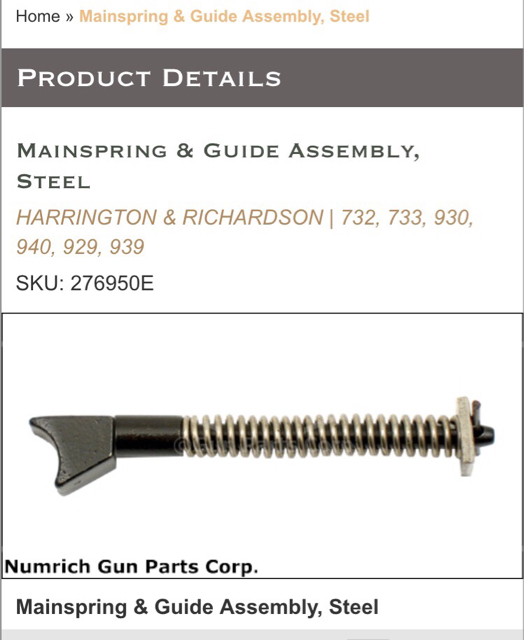 I have heard that the plastic head of the mainspring bar will disintegrate over time so I have a metal head bar on the way from Numrich. Is there a big difference in trigger feel between the two heads? Was the nylon head used only as a cost saving measure? Welcome to the H&R 1871 Owners Forum John !! As far as your question, I will defer to the membership...as I do not know the answer required.